Destroy the Archer Towers and deploy your Balloon. Place a Giant to distract the Archer Towers and Cannon. Deploy 30 Archers to destroy the Archer Towers. 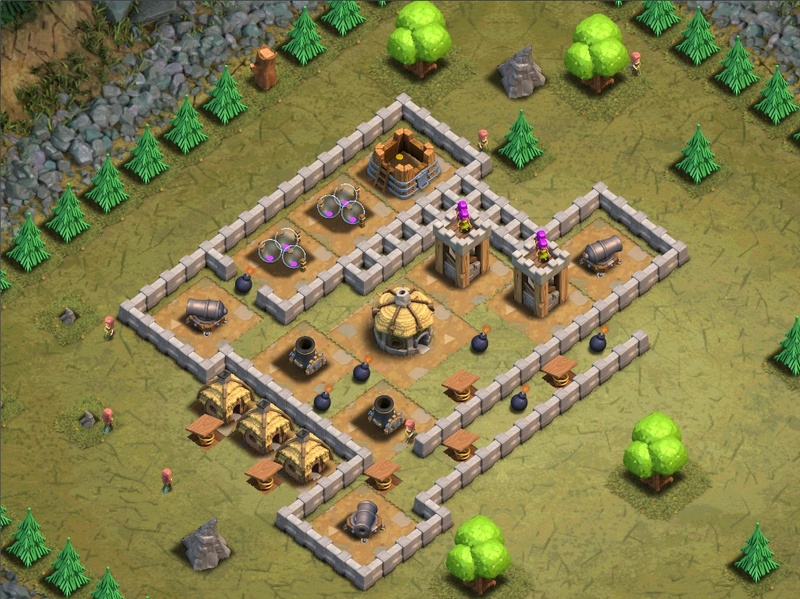 Or drop 50 level 3 Barbarians along with 2 Wall Breakers at the upper right Cannon. Once the Archer Towers destroyed, clean the rest with a Balloon.